Head in the Right Direction with GOQii RunGPS! Wouldn’t it be great if there was a device that tracked your route during your daily run and provided comprehensive data that could be analyzed to help you bring out the best from each session? 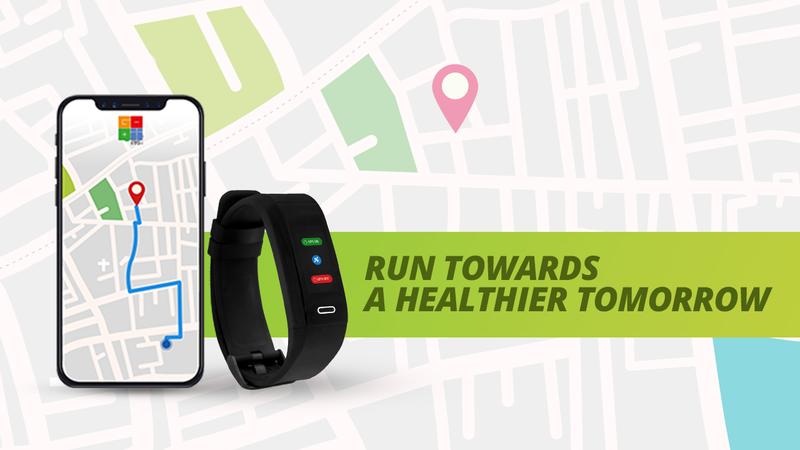 Now, you have the most affordable way to do just that with the all new GOQii RunGPS! On 20th January, GOQii launched its first in line smart wearable for 2019, the GOQii RunGPS which comes with an integrated GPS tracker that tracks your walking, running, cycling and other activities. It also comes integrated with Marathon Coaching delivered by GOQii Play – an interactive video platform. RunGPS has the best in class features that no other competitor offers with the lowest price point in the market today that is INR 4,999 along with 3 months of coaching. Targeted at the running community that trains and coaches for marathons, treks and other running heavy sports, GOQii RunGPS provides guidance with the best in the business. GOQii has signed ace runners and doctors as consultants that offer their expertise to the users. Apart from professional trainers and doctors, GOQii has on board ‘Ranveer Allahbadia, Jeet Salal, Gaurav Taneja, and Abhinav Mahajan” who are India’s biggest fitness stars on social media platforms like Youtube, Instagram & Facebook. 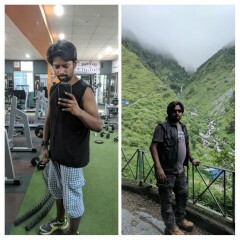 Sardara Singh, former Captain of the Indian Hockey Team, is also on the GOQii Platform training and guiding users towards a healthier lifestyle. GOQii RunGPS tracker has six screens that track steps, distance, pace, calories burnt, heart rate and duration. The device also tracks activities and sleep, comes with an integrated USB charger that can easily be connected to any power bank, adapter or laptop. 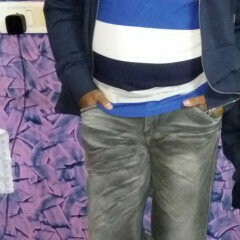 The device can be connected wirelessly via Bluetooth to the GOQii iOS and Android app. You can also get details about your activity, be it running, cycling or a workout, once you sync your device with the app. The app will then provide you with all the necessary data you need to take your sessions to the next level. The device also comes with a GOQii family care plan that offers a personal coach and personalised doctor consultation for the subscription period of 3 months for one selected member. The purchase of the band also has tax benefits under section 80D. 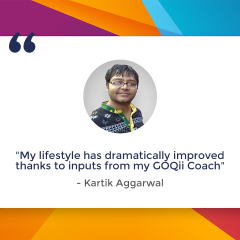 The subscription also offers access to GOQii Play, which is the premium video content service by GOQii that has videos across topics viz Exercise, Yoga, Nutrition, Mental & Emotional Wellbeing. Launching the product, Mr. Vishal Gondal, our Founder and CEO says that GOQii has always aimed at looking at simple, affordable and adaptable options for preventive healthcare. 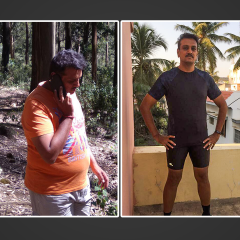 According to our recent fifth edition of India Fit Report, running has increased from 22% in 2017 to 33% in 2018 among Indians, which is a gradual progression from walking. Therefore, launching the first-in-class wearable device for running was the next best step. GOQii RunGPS will greatly aid our players (users) to run better towards a healthier lifestyle. Running has been known to improve mental and health functions, lowering depression levels, increase stamina, boost immunity and maintain a healthy BMI. Our RunGPS will surely benefit all health enthusiasts. GOQii RunGPS is available on the GOQii Store and on Amazon.in. Other services that GOQii RunGPS provides access to are: GOQii Play – a premium video channel for all health and fitness related content, GOQii Health Store – a curated market place to provide healthy, organic products that include food items, supplements, neutraceuticals, sportswear and exercise equipment and GOQii Arena – a platform that helps connect like-minded individuals focused on health and fitness.